This spring, we are kicking off an ambitious, multi-year, full scale restoration of the Neponset’s best cold water resource, Traphole Brook. 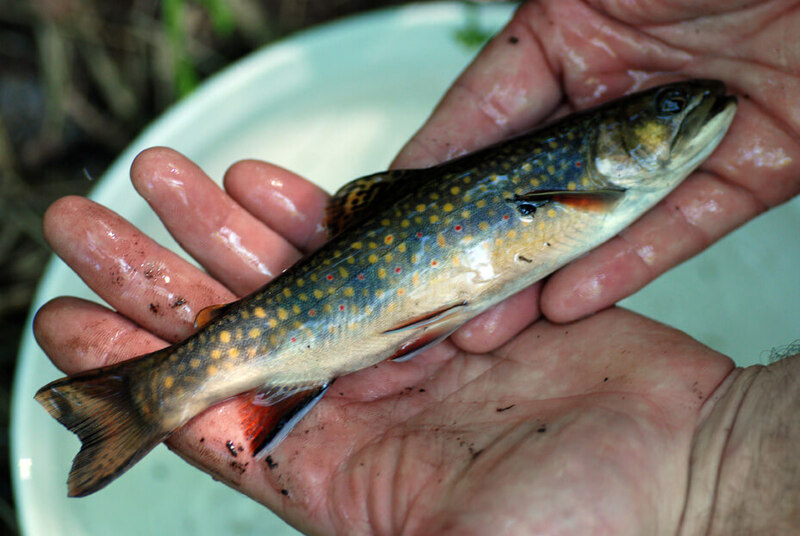 Most people don’t know it, but Traphole Brook is home to one of the densest populations of Brook Trout in the entire state of Massachusetts. We are working to ensure that it stays that way for many future generations to come. This restoration project is a large component of a restoration plan that came out of a settlement associated with the Blackburn and Union Superfund Site in Walpole. In order to pull this effort off, we will be working with a coalition of partners including the Towns of Walpole, Norwood, and Sharon; the Massachusetts Department of Environmental Protection (MassDEP), U.S. 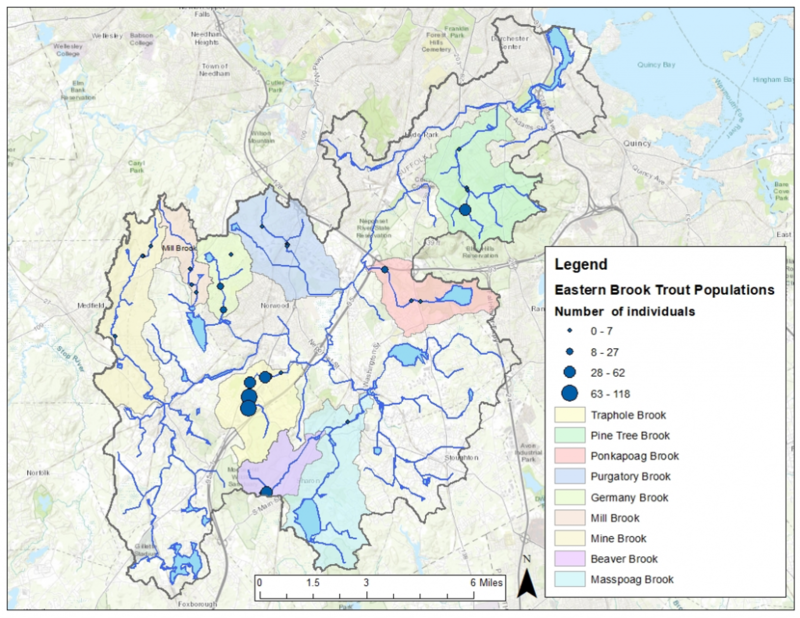 Fish and Wildlife Service (USFWS), Massachusetts Division of Ecological Restoration (MassDER), and Greater Boston Trout Unlimited, among others. Decreasing the impact of stormwater runoff pollution. NepRWA’s Environmental Scientist, Chris Hirsch, at right, with Lauren Bennett from USFWS and Eric Ford of MassDER, evaluating restoration opportunities. The types of barriers we are hoping to remove/upgrade are small dams and culverts. In Norwood, there is a small dam that we are working with the neighbors, the town, and the MassDER to remove. We are still in the planning phases, but if all goes as planned we will complete this project in the next two to three years. This dam is currently preventing fish from swimming upstream beyond it, and it is creating a significant warming effect. Trout require really cold water, and the dam is making the water too hot for them. Eliminating the dam will cool the water, allow the trout to move freely throughout the brook, and protect the nearby neighbors from flooding. 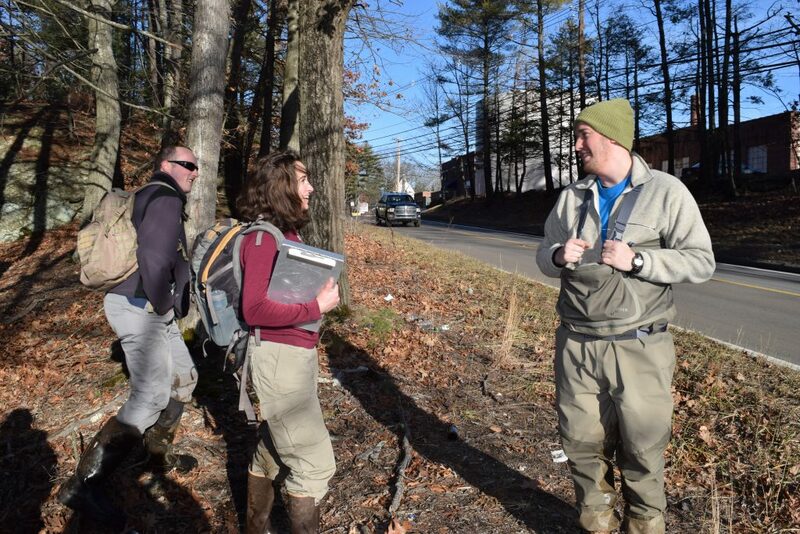 We are working with Walpole, Norwood, and Sharon to identify road crossings along Traphole Brook that are too small for the size of the stream. These kinds crossings pose flood risks for people, but they also make life difficult for fish because they accelerate the flow of the water. Other poorly designed culverts, called perched culverts, can act as fish barriers if the pipe is elevated above the stream bed. We are hoping to get these types of problem culverts replaced with larger more wildlife friendly versions. We are partnering with Greater Boston Trout Unlimited to restore stream bank habitat in areas where it has been mowed to stream. Stream bank vegetation provides a lot of key functions for the brook. Shade provided by the vegetation is critical to keeping the water cool in the summer months. The roots help to stabilize the banks, preventing erosion and creating shelter for the fish to hide from predators. 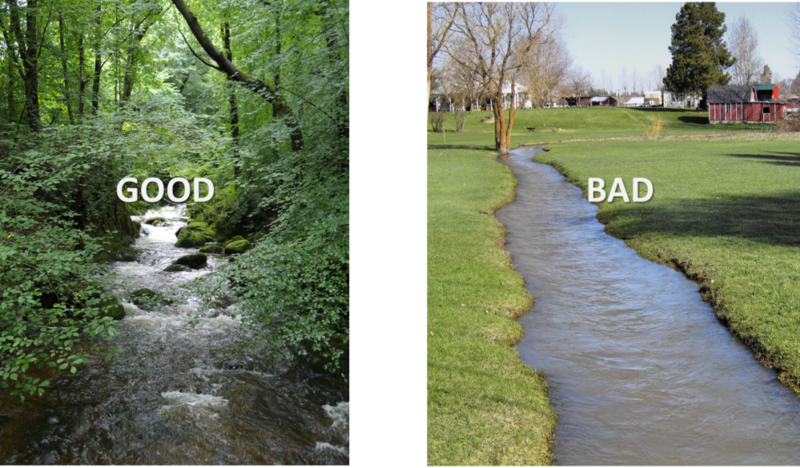 Additionally, stream bank vegetation helps to support the brook’s food chain. Trout need a variety insects to sustain themselves and the insects depend on the vegetation. Semi-aquatic insects like mayflies spend most of their lives in the water but when they emerge, they need bank vegetation to dry out on in order to complete their life cycle. Clumsy non-aquatic insects like caterpillars are also an important food source for fish. Without leaves hanging over the brook for the caterpillars to munch on, there won’t be any caterpillars falling in. Less food means less trout! 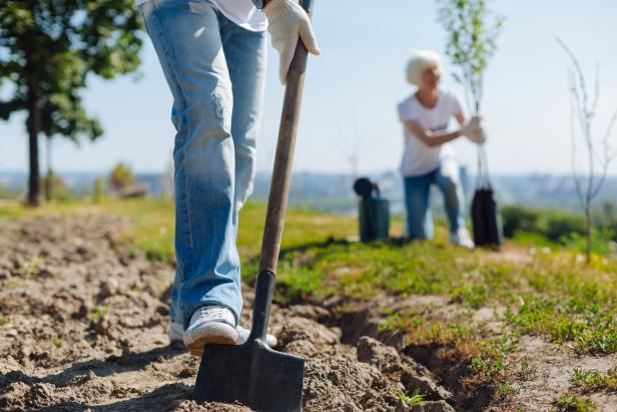 We will be reaching out to homeowners this spring to offer free tree and shrub plantings on their properties, and we are hoping to teach them a bit about why the vegetation is so important along the way. 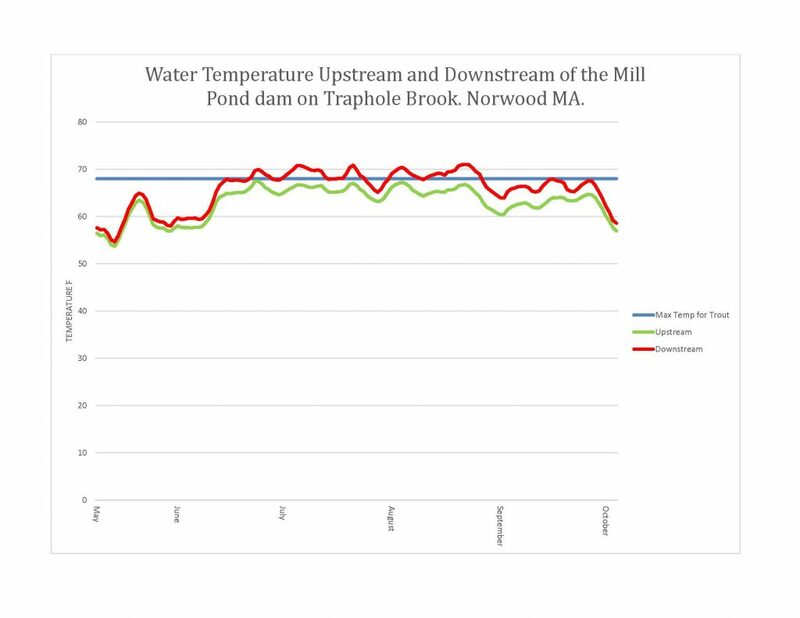 Stormwater runoff is the largest source of pollution affecting the water quality of Traphole Brook. Every time it rains pollutants like pet waste and motor oil are washed off of the streets and into Traphole Brook. We will address this by building rain gardens that collect stormwater runoff and filter it through the ground before it reaches the brook — protecting the brook from road pollutants every time it rains.